This post takes you behind-the-scenes for an in-depth Grenco Science MicroG Pen review. Learn everything you need to know about this vape pen so you can determine if it’s the right vape for you. Should I Buy the MicroG Pen? Until the advent of cannabis concentrates, choosing a marijuana vaporizer was tricky. Lower-end vaporizers were generally prone to breaking, and high-end vaporizers, while effective, were often bulky and expensive, and were often confined to a room with a spare outlet. Once concentrates caught on with cannabis enthusiasts, demand for an easy way to smoke this potent but demanding form of marijuana was quickly met with the popularization of the vaporizer pen (or more commonly, “vape pen”). Inspired by the sleek design of e-cigarettes, vape pens are meant to be equally discreet and effective. While vape pens have reached such a level of popularity that some have been optimized for vaporizing ground herb, they are traditionally designed exclusively for use with concentrates, most popular amongst which are oil, wax and shatter. These concentrates are often found in liquid-THC form, and packed in small cartridges, some of which are interchangeable among the different vaporizer brands. SEE ALSO: our post on the best and worst vape cartridges currently available on the market. And trust us, there are many brands, most of which have become successful at creating minimal and effective vape pen products. However, no company has become synonymous with the vape pen trend as much as Grenco Science. Though that name may not ring a bell to some smokers, anyone with a current knowledge of marijuana is familiar with their flagship product, the G Pen. The G Pen has become a success due to a winning combination of great looks, brand ubiquity, and affordability (not to mention it was one of the first vape pens available). Though it has its fair share of rivals, it has more or less set a standard against which other vape pens are compared. 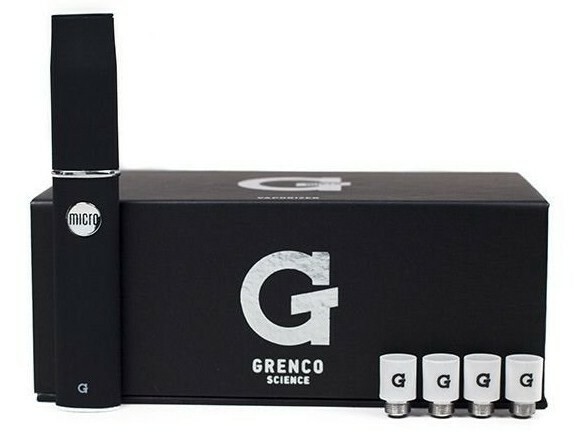 Since reaching this level of success, Grenco Science has released a few counterparts to the classic G Pen. One of these is the microG Pen, designed as a smaller alternative to their classic design. Those looking for a small and discreet vape pen should consider the Micro G Pen, though a number of caveats should be considered first. Even for those unfamiliar with how the G Pen, or vape pens in general tend to work, use of the microG Pen is pretty straightforward. Of course, you have to have your own concentrates first, so if you aren’t fully-stocked, head over to Nugg’s website and order delivery from a cannabis dispensary near you that carries concentrates. To load the microG Pen with either oil or wax, use either the branded metal tool contained in the microG Pen kit, or your own tool with a curved metal tip, to grab a small amount of your concentrate. Then, use the tool to place your concentrate into the metal chamber, located underneath the removable mouthpiece (which screws off). Make sure your tool is making contact with the lower portion of the chamber (on and around the coil), as that’s the part that tends to get hottest. Just be careful not to be too forceful with the coil itself, as it’s pretty delicate and can be dislodged with too much pressure. The microG Pen can be turned on or off by pressing the button located at its center five times. To activate the heating element located beneath the metal chamber, hold down the button for up to 15 seconds. At 15 seconds, the button will blink, deactivating the heating element, requiring a pause before it can be reheat, which prevents overheating. By holding down the button, you activate the pen to work by drawing air through the holes located on the pen’s silver band, past the coils, and over your oil on the screen. When the oil heats up, it melts down through the screen and onto the heating coils, vaporizing it. Hint: hold down the button for 5 to 10 seconds before taking your first inhale. It will allow your oil time to heat up, which packs a larger hit since the oil melts down onto the coil instead of sitting on the screen above it. By this token, the third and fourth hits are often best. 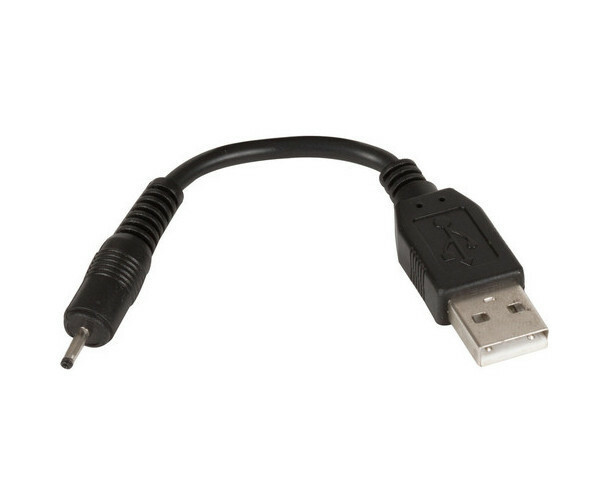 Charging is as easy as inserting the included charging cable into the microG Pen itself, and then plugging it via USB into a computer, or into a wall outlet via an included adapter. Once the red light on your microG turns off, it’s charged and ready for use. Also included in the kit, which retails online for $69.95, are three additional metal chambers (also referred to as “tanks), five sleeves that fit over the mouthpiece to keep the pen protected while transporting it, two round glass containers, and three cotton swabs pre-loaded with isopropyl alcohol for cleaning. The biggest selling point of the microG Pen is its portability. Not only is it small and easy to carry in a pocket, but Grenco Science recognizes the importance of portability to buyers, and includes protective mouthpiece covers specifically to protect the pen while in your purse, pocket, backpack, or whatever other dark-space it’s hiding in. Additionally, one of the biggest selling points of Grenco Science’s line of products, including the microG Pen, is an unrivaled aesthetic design. Though this may not be a concern at all to some, for anyone who would like their vape pen to be both portable and cool-looking, the microG Pen is a strong choice. 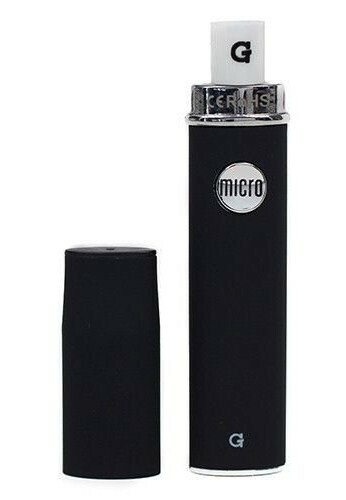 Foregoing the metal sheen most often seen on vape pen products, the microG Pen is given a softer and easier to grip matte black finish. Some users, however, have reported a build-up of old wax that’s very hard to clean from the metal chamber. Parts of this get vaporized with each successive use, however they only contribute to making the smoke harsher. You’re essentially smoking oil-reclaim at this point, which sounds nicer than it is. Additionally, some users have reported that the pen has a tendency to disassemble itself when carried in a pocket. Considering that portability is one of the biggest advantages to its smaller size, this may be a detriment to those without other means to transport it. 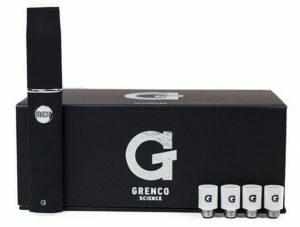 Grenco Science offers a customer service line for product owners experiencing issues with their pen, however some users have reported a failure by Grenco Science to follow through on shipping the new parts they promised. Some have reported needing to get in touch with Grenco’s customer support up to 12 times before their issue was finally addressed, which is unacceptable in today’s age of customer-comes-first mentality. Its battery life is also less than ideal. For most habitual users, the battery will last between one and three days. It then takes about an hour and a half to charge. While charging is as easy as plugging it into a computer or wall outlet, this may not be feasible in a public place where discreteness is also a factor, so be wary of short battery life if you’re someone who travels often, since it could get in the way of an otherwise good experience. Hint: reduce battery-life pains by keeping your two batteries on alternating charge schedules. “For the stealthy and ease of use it is nice, but I will be honest, if you pack it up big a couple times it gets clogged, but in general nice vape pen.” —Beth K.
Beware of counterfeit merchandise! Due to its recognizable brand, and scarcer information available on medical marijuana-related products, some scammers sell knock-off Grenco Science products for prices that are too good to be true. If you’re buying from a website, make sure you know it’s reputable. The microG Pen is NOT intended for use with thicker concentrates. Though it may work, the lifespan of the coil may be impacted if used to vaporize thicker waxes. If the light on the pen flashes three times, there’s a problem in communication between the battery and the coil. This may indicate a problem with one of these two components. Those looking for a pen that’s easy to transport that looks great should consider the microG Pen. While users have had mixed results with Grenco Science’s customer service and functionality itself, parts are under warranty, and can be replaced. However, small and well-reviewed vape pens that may be easier to use at both higher and lower price points are also on the market, so prospective buyers should do some research first to find the vape pen that’s right for them. While we love sharing awesome content on our blog to help cannabis patients better understand the plant they love, and the products that help them enjoy it (like the microG vaporizer pen) we’re also pioneering the way for easy, quick, and professional cannabis delivery. Nugg lets you find and order delivery online from local cannabis dispensaries in more than 60 California cities, including San Francisco, Los Angeles, and San Diego. Think of it like GrubHub for cannabis. It’s free to use, every order is backed by 24/7 Customer Service, and you can choose from thousands of marijuana products across hundreds of dispensary menus. Just click the button below to visit our site, and use the search bar at the top to find “Vape” products near you! I first purchased a G pen Pro upon the advice of some friends, sounded great, get results w/o smell or bad taste, who doesn’t want that? Well I tried it many times (wasted a lot of very expense tobacco) to find it proved useless, no matter what I did I never felt like I was getting any results, because I wasn’t. I figured I got a bad unit, I then purchased the G pen Elite with it you can vary the temp and have more control over the process. After wasting that much more herb, I determined, at least for my wife and I that even though this is a great idea it actually doesn’t work at all !!!!!!!!! I even went so far as to remove the so called spent herb and put it in a pipe and guess what the pipe actually worked something I already knew but just wanted to see if it was just in my mind. All I can say if you are having good results bravo I’m glad some of you are getting results, my question is are your results just the placebo effect in action. Totally worthless product that is for those that have so much herb they don’t mind wasting it in order to look cool. I don’t care how I look I just want the pain to go away.